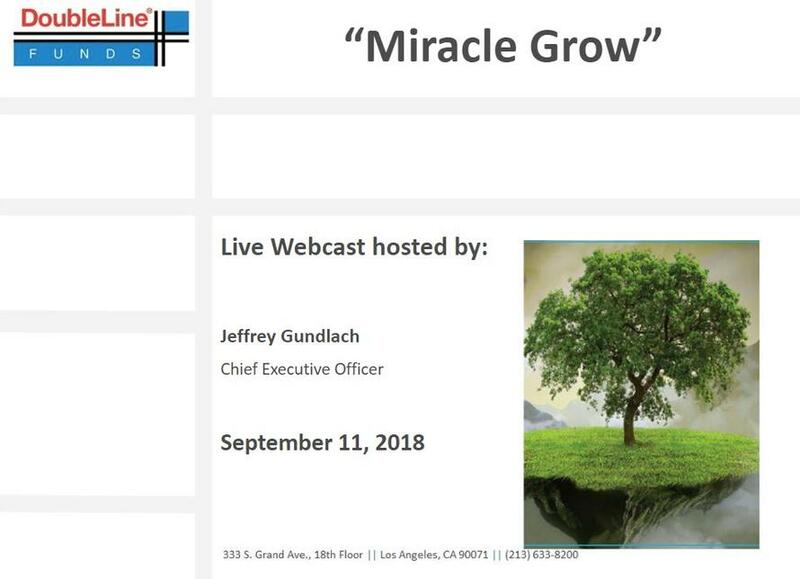 Gundlach Live Webcast: "Miracle Grow"
Several months after his last live address to investors in his fund, Double Line CEO Jeffrey Gundlach is holding his latest periodic live webcast with investors, titled "Miracle Grow." 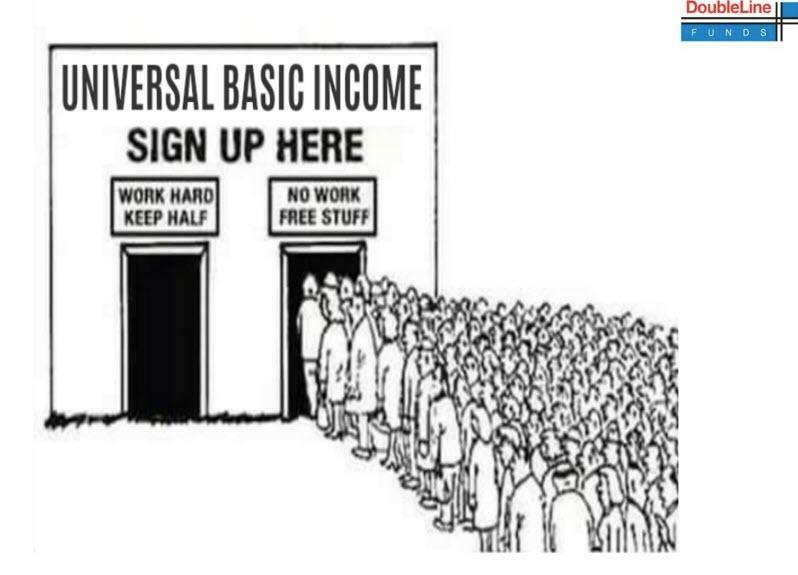 Readers can listen to the webcast live by clicking on the slide below or the click on this link (registration required). 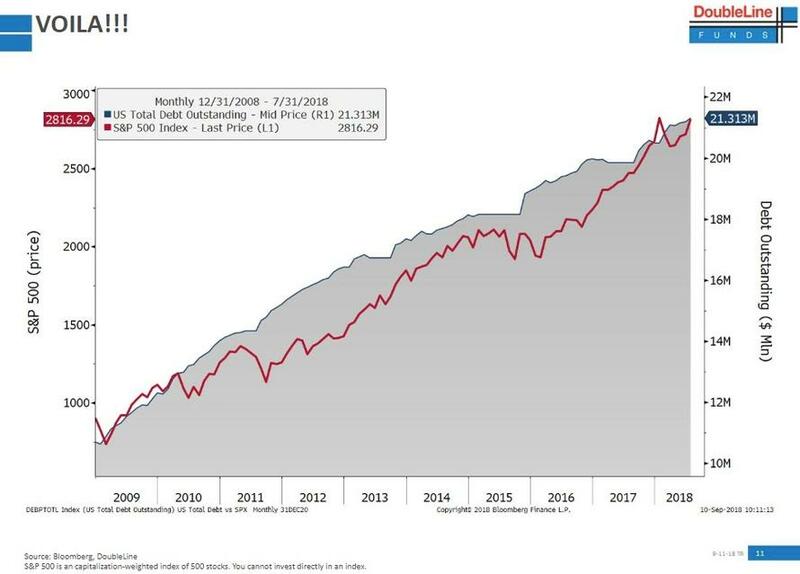 "I don’t think we’ll have new highs in the dollar without first seeing new moves to the downside"
"it seems that U.S. president wants a weaker dollar"
"Amazingly no-one’s feeling any pain because it’s not moving"
We will publish the accompanying slides shortly, but until then, here is what Gundlach believes is the "Miracle Grow" pushing the US economy higher: debt, which according to Gundlach shows a remarkable correlation to the S&P. 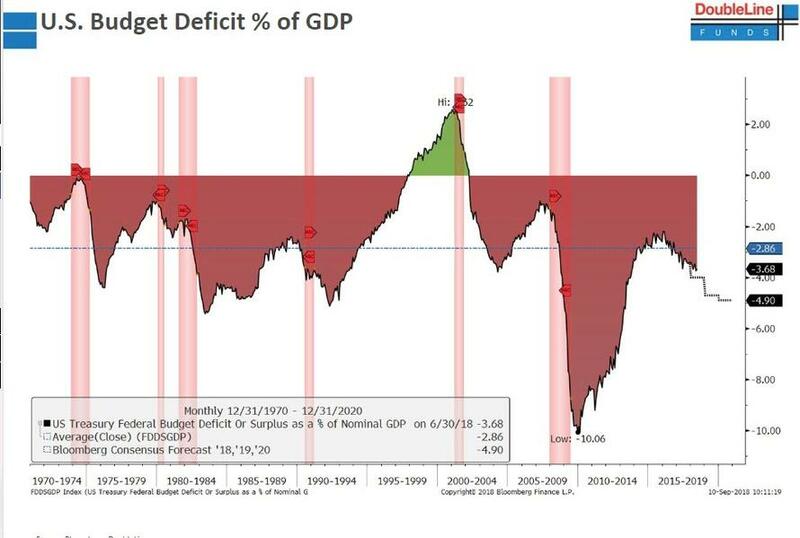 And while the soaring debt is for now providing a sugar high to the economy, the question is what happens after the next downturn when the deficit - which is already exploding higher - will be off the charts. 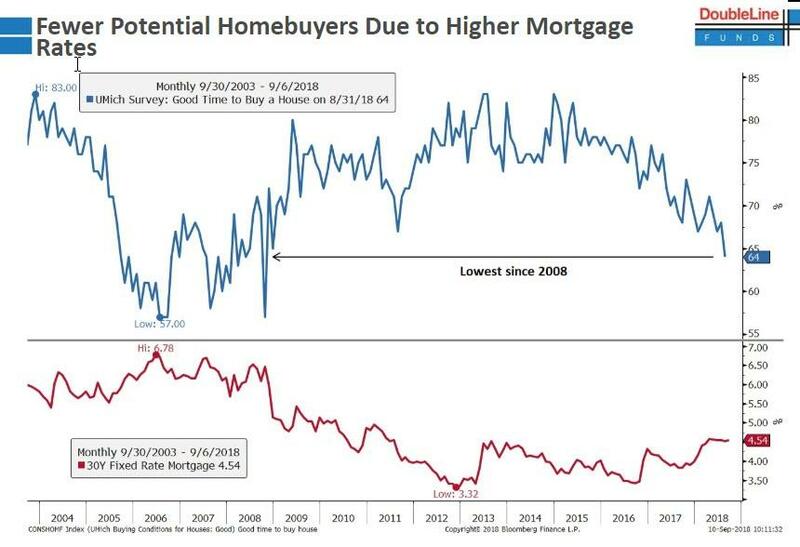 Meanwhile, while the economy is humming, the housing market is rolling over as shown in the below chart which shows the responses to the UMich survey whether "it's good time to buy a house." Gundlach is also not very optimistic on the future of the US labor market, where he sees universal basic income as the solution.